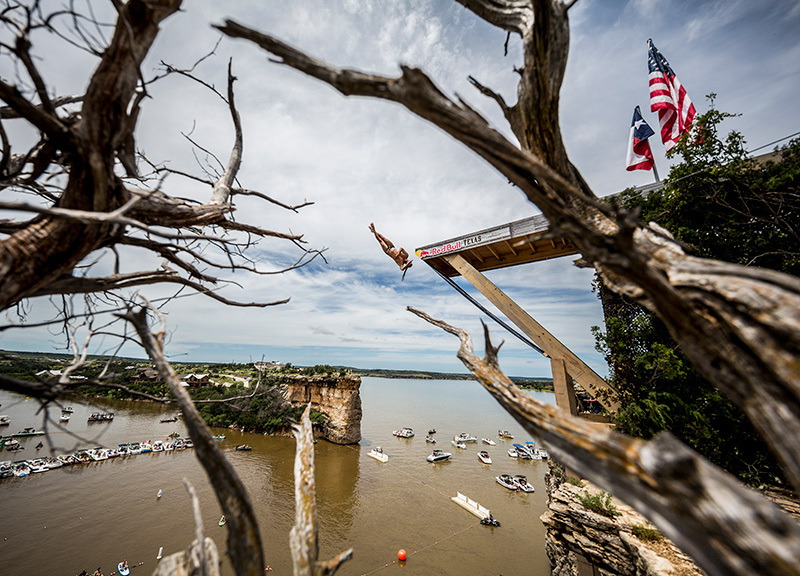 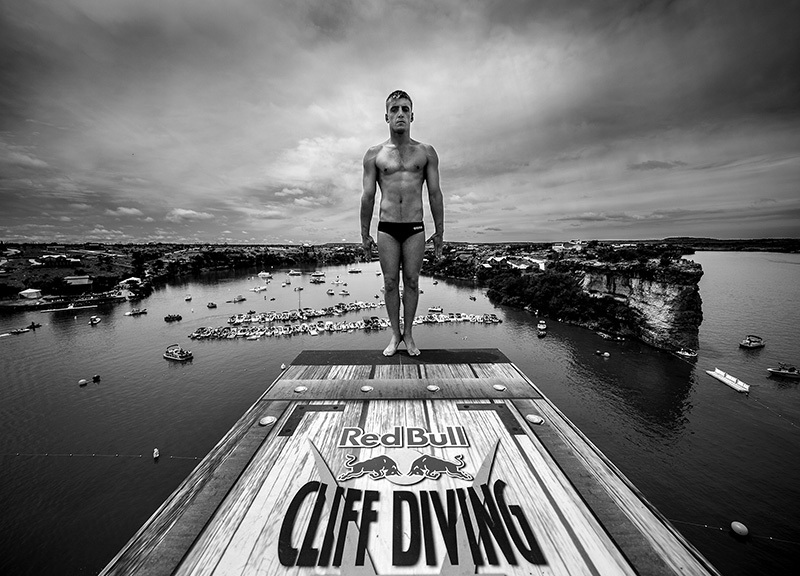 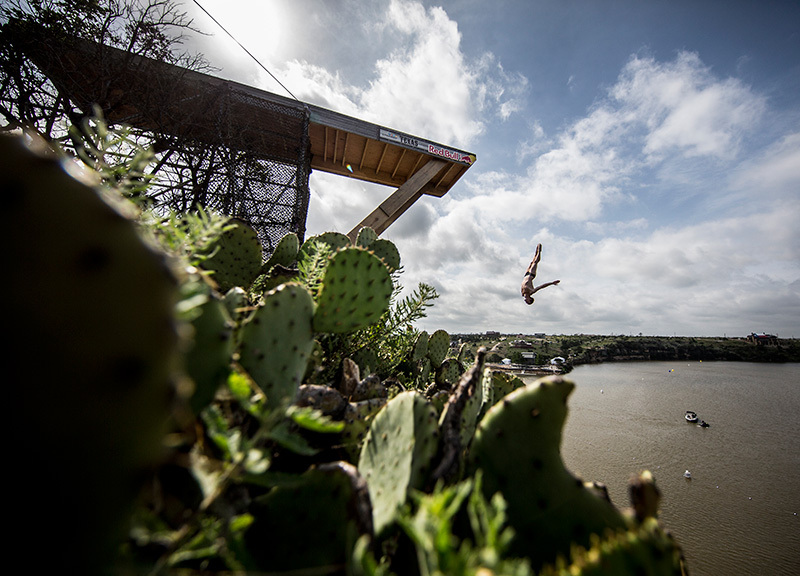 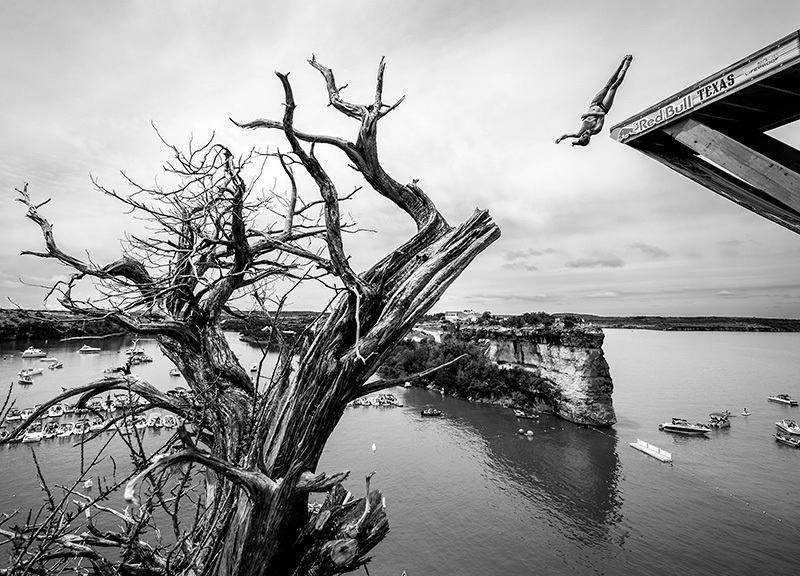 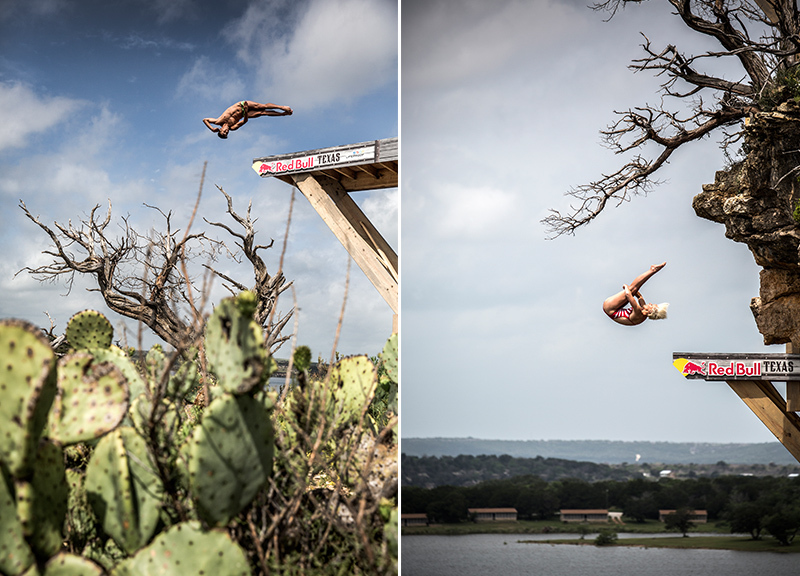 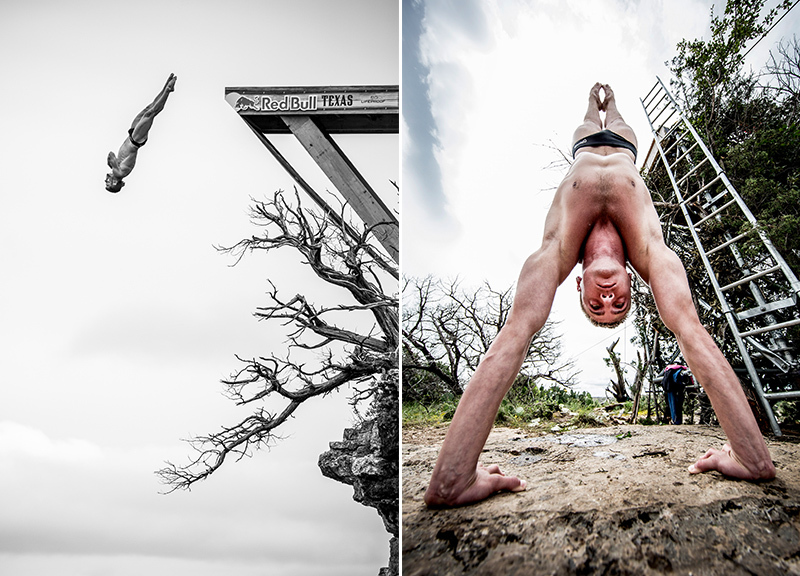 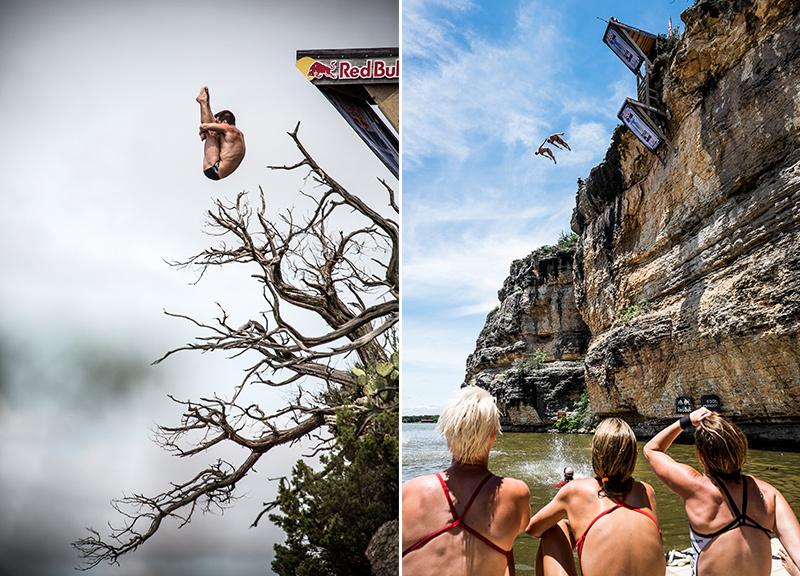 Epic Scenes From This Weekend's Red Bull Cliff Diving Competition at Possum Kingdom Lake. 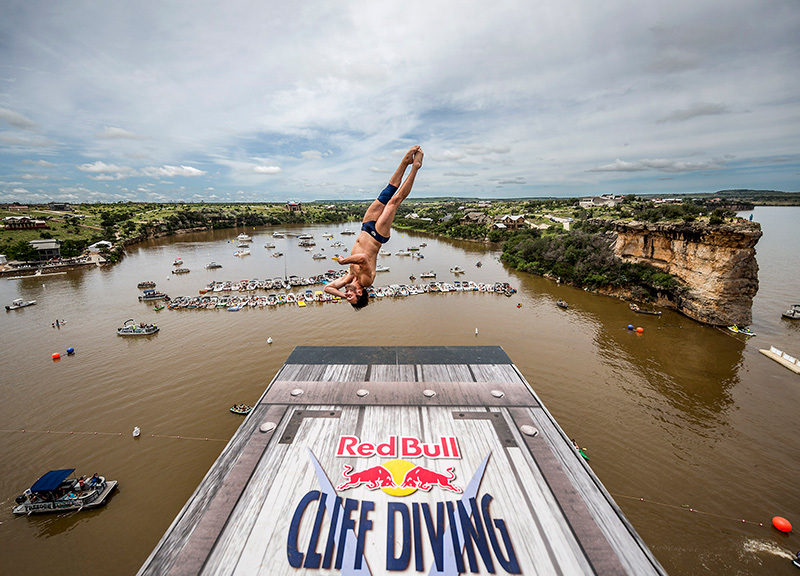 Cliff diving is a fairly dangerous sport as is given that its divers reach speeds as high as 60 miles per hour by the time they hit the waters below their high-in-the-sky platforms. 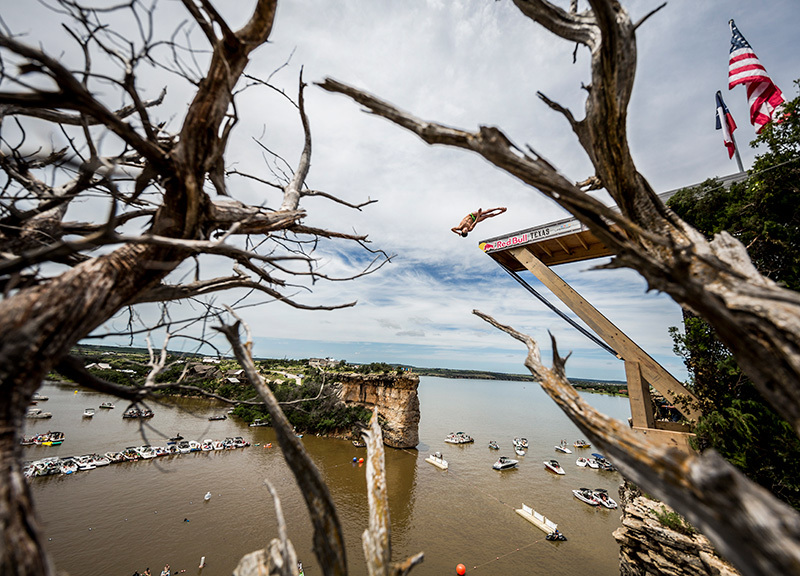 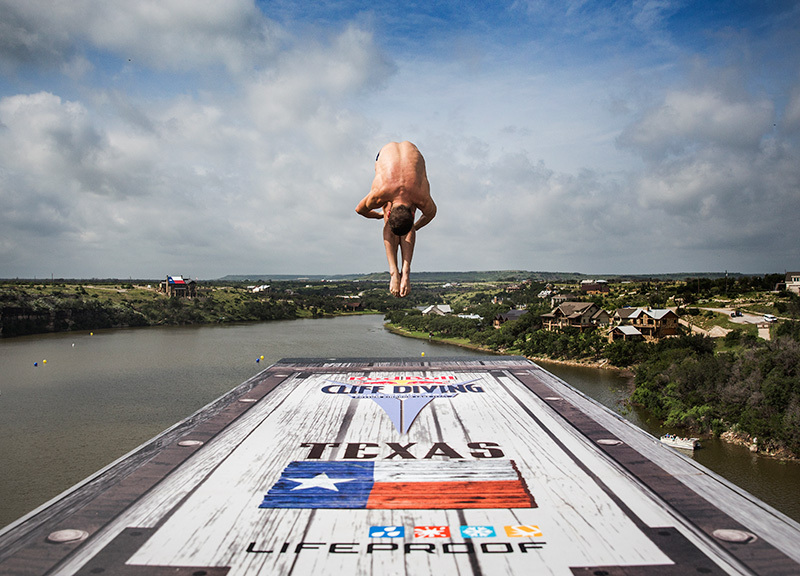 But the recent spate of storms pummeling the region only added to the perils of this weekend's 2015 Red Bull Cliff Diving World Series event out at Possum Kingdom Lake — so much so that Saturday's contest didn't go down at all as planned, actually. 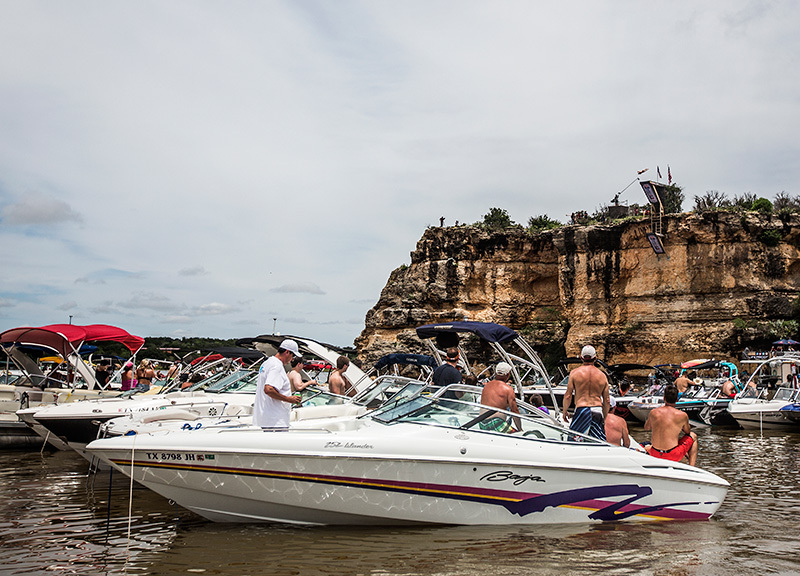 Rather, due to fears that storms may blow through on Saturday and turn the party atmosphere of the spectator area out on the water into a potential hazardous nightmare, the formal competition itself went down on Friday afternoon when the weather was, at least for a time there, clear enough to allow it to go off without a hitch. 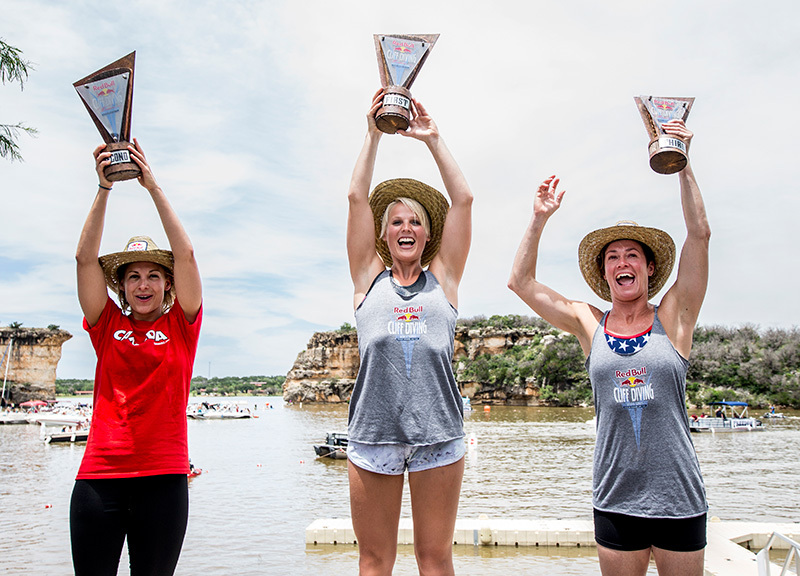 The switch didn't really affect San Antonio native Rachelle Simpson much, though. 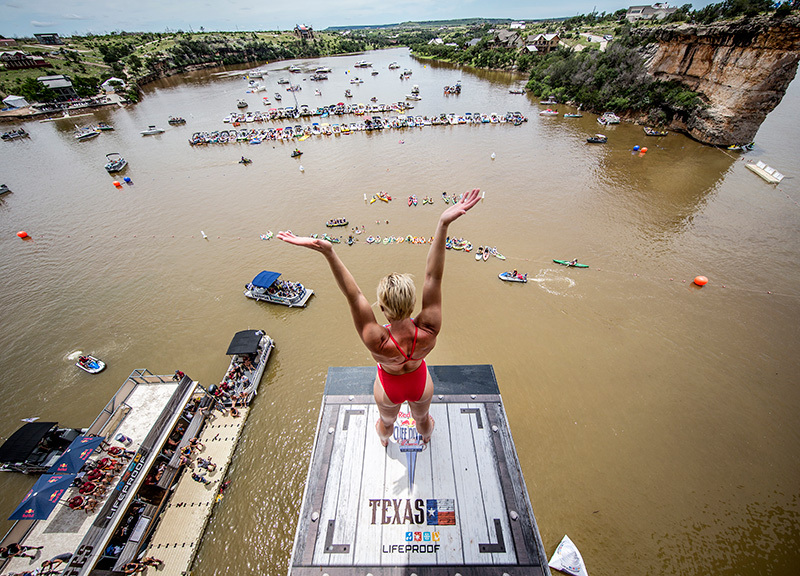 After executing well her final dive of the day — a triple back somersault with a full pike twist — she took home top honors on the female half of the card. 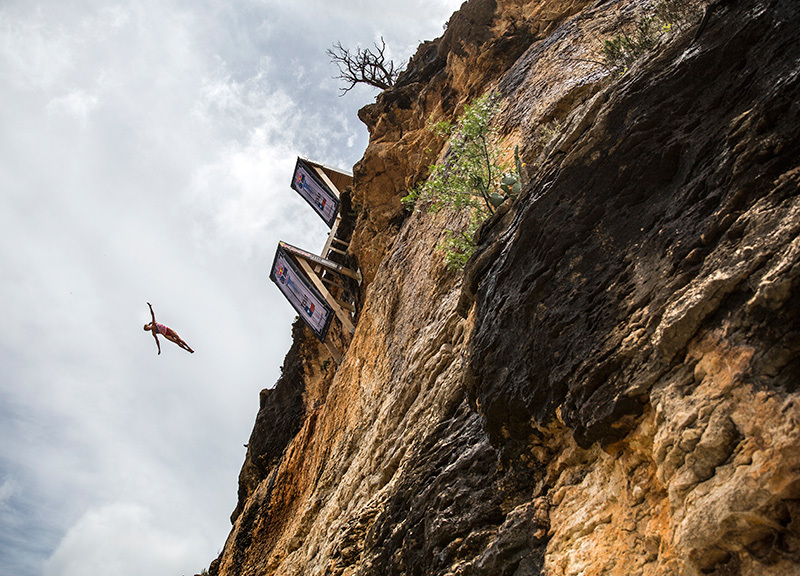 The U.K.'s Gary Hunt won the male side. 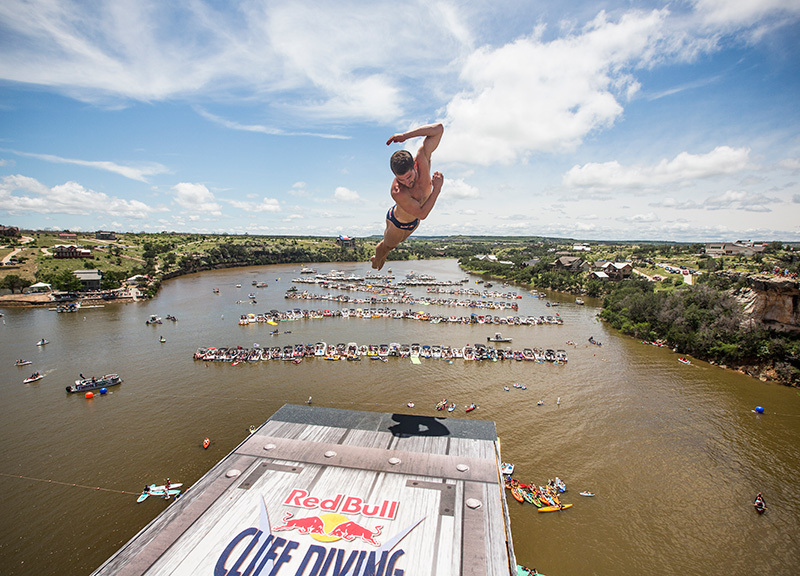 Saturday, interestingly, still saw its fair share of diving, though. 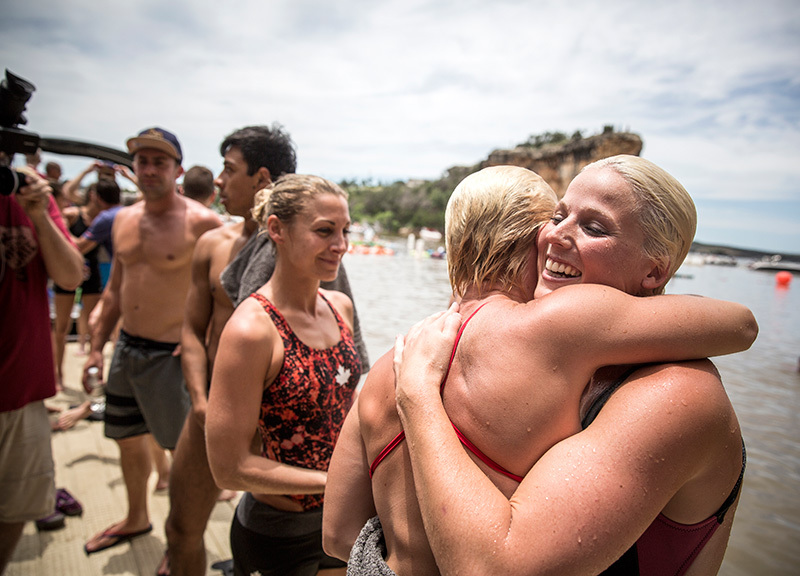 With the weather holding up, the afternoon's planned competition served instead as an exhibition of diver skills — and, in Simpson's case, a nice little home state victory lap. 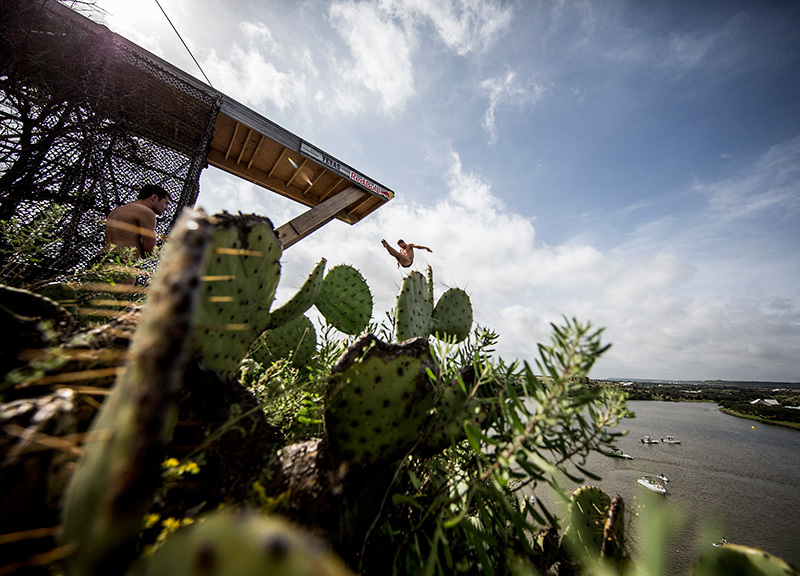 And a deserved one, to be sure. 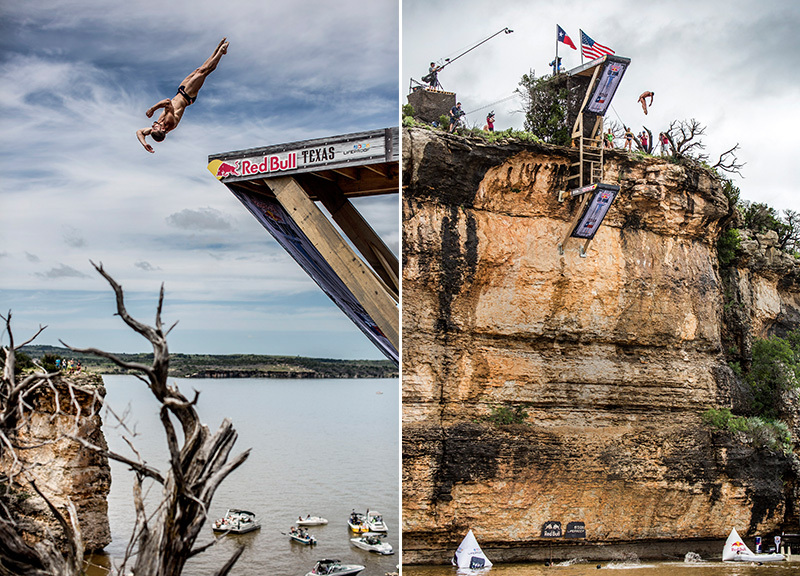 As the below photos more than illustrate, the feats these divers pull off on the reg are downright insane. 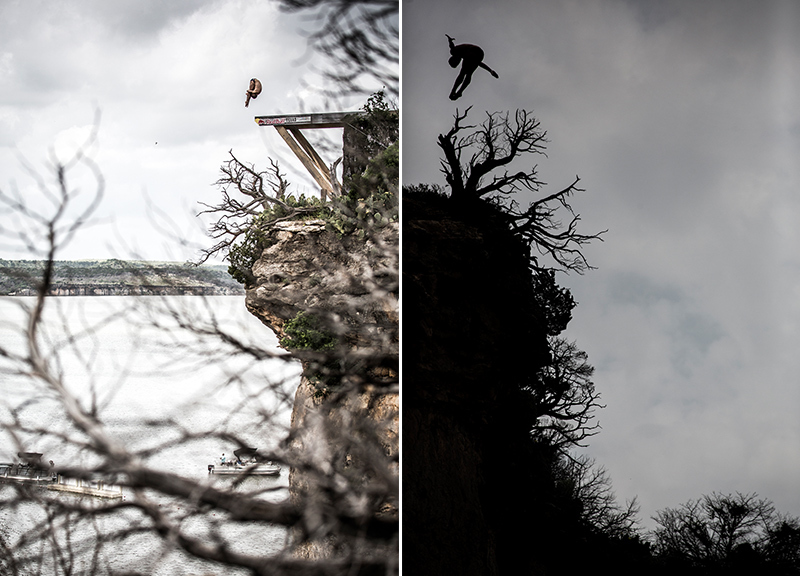 Photos by Dean Treml and Romina Amato, courtesy of Red Bull.